Wandering Monster is the outlet for the compositions of Leeds based double bassist Sam Quintana. Since it’s inception in the autumn of 2014 the quintet has honed and refined a sound which takes influence from the metric, off-kilter grooves of artists such as Dave Holland and Kurt Rosenwinkel, as well as the intensity of older blue note, hard-bop recordings. The band features, Andy French on tenor saxophone, Calvin Travers on guitar, Aleks Podraza on piano/keyboards and Tom Higham on drums. Also associated with projects such as Zeitgeist and Stretch Trio, these musicians are amongst the most active on the Leeds music scene. Their debut two track EP was recorded 26th October 2015 at Leeds Fold alongside a video by Maria Alzamora. Recorded mixed and mastered by James Hamilton for New Jazz Records. 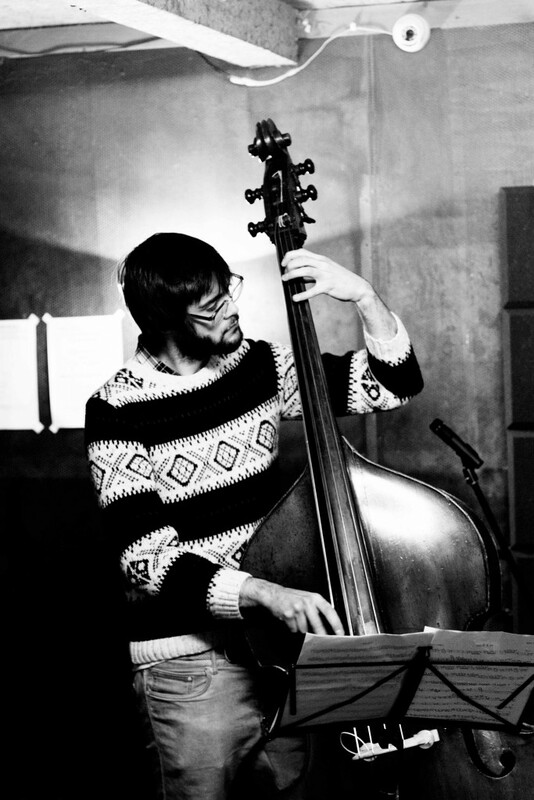 Leeds based upright/electric bassist Sam Quintana graduated from Leeds College of Music in 2014 with a BA (hons) Jazz degree after three years of one to one tuition with established bass players Garry Jackson and Zoltan Dekany. Since moving to Leeds Sam has become a highly active member of the city’s music scene, becoming involved with a wide range of projects whilst also writing for his own quintet ‘Wandering Monster.’ Sam has performed alongside a number of well renowned UK based musicians and frequently performs up and down the country, and further afield in Europe.